I dusted off my stamping plates for the first time in a while! I love stamping, but my nails are so big it can be such a pain getting the stamp to cover the whole thing! I started with a base of OPI Samoan Sand, and I stamped with Konad White and a floral design from Bundle Monster plate 321. I added a Northern Lights Holo top coat, which isn't very visible in my pictures unfortunately. I love this! I actually just used this stamp at the weekend with a green background but this shade looks much better! Lovely. So simple but so pretty. This is very pretty and it looks like lace. I have that same base color, I think I will try a mani like this too. I really like how yours turned out. Yes, I can see the little sparkles of the holo top coat in the first pic. Adorei, sua unha é um show!!! 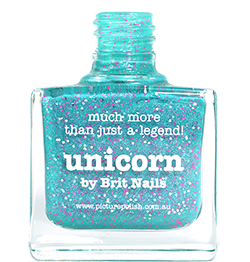 Hi, I like the blog, with so many information about nail polish and colors. IF u need anything, please contact us. We can also provide some samples for your blog. Get 10% OFF this month in our web-page, just put the code " 10APRIL " in the checkout. Visit us now at http://www.beautycolor.co.uk . Best Nail polish brands like - OPI - CND SHELLAC - HARMONY GELISH - ESSIE - IBD and much more! Candy Lacquer Sugar Mama - Swatches + Matteified!